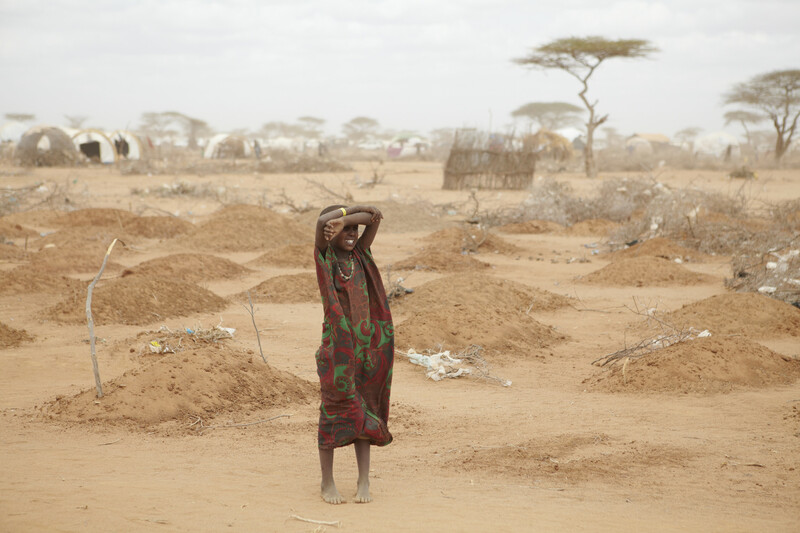 A young girl stands amid the freshly made graves of 70 children many of whom died of malnutrition. 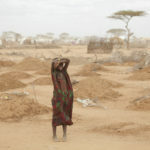 Dadaab refugee camp. Conflict is stealing our future, it’s time to stop. That’s the message children are telling adults at a major meeting in Africa today. “If I continue to hate, or not be united with my neighbours, what will happen? We have to create love, peace and unity to stop the fighting,” says 16-year-old Eva, a refugee in Bidibidi, the world’s largest refugee settlement. Eva is among the 2.1 million South Sudanese refugees who fled her country and was separated from her parents as they fled her homeland when fighting broke out in her village in 2016. Eva hasn’t seen them in more than a year. Her call for peace is being amplified today at meeting in Nairobi about peacebuilding. Led by UNHCR and World Vision, the group of community leaders, NGO and government representatives aims to tackle the urgent and destructive cycle of violence and conflict that scars children across the region. Key stakeholders who work with refugees and refugee-affected populations are meeting to share their experiences, learn from one another, and plan to ensure peace building takes place in refugee camps, in neighbouring communities and across borders. “Children deserve hope, not despair. We want to better equip people with the ability to support process the trauma,to breakdown harmful stereotypes and to resolve their conflict,” says Stephen Omollo, Vice President of World Vision in East Africa. The meeting highlights existing World Vision peacebuilding projects, like the club that Eva belongs to, that teaches young people how to resolve conflict through non-violent means, celebrate diversity, deal with difficult emotions, challenge biases and stereotypes as well as develop leadership skills. The refugee peace builders then organise community events where the same messages are shared with peers, caregivers and community members. “Already, we’ve seen refugee children who experienced violence first-hand learn skills to resolve conflict through peaceful means and share that knowledge with their community. Peacebuilding clubs have led to restored friendships that were broken along ethnic lines, created safer schools and influenced community leaders to promote a greater culture of peace,” Omollo says. More than 1,200 children in Kakuma refugee camp in northern Kenya and Uganda’s West Nile Region refugee settlements have participated in the peacebuilding clubs during the past year. Previous Women dominate social enterprise sector in Kenya.